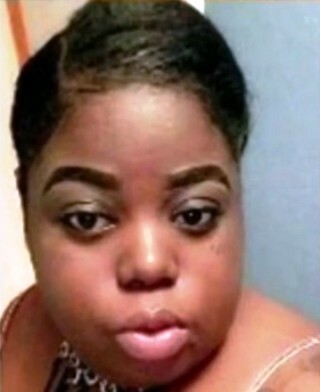 ORLANDO, Fla. - The body of a missing 23-year-old woman was found early Friday in an Orange County condo, and authorities are searching for a person of interest in the case, deputies said. The Orange County Sheriff's Office said the body of Vanessa Jessica Cocly was discovered in a home at the Sandlake Courtyard Condominiums near South Orange Blossom Trail and Sand Lake Road in Orlando. Cocly's death has been ruled a homicide, but officials have not said how she was killed. "We know Orange County is bad, but it's sad to hear a young lady has been taken away, especially at a young age," said Israeal Rivera, who lives nearby. "I can't understand who would do this. It's sad. It's bad." Deputies said they're searching for Christian Valentin Penchi, 32, who lives at the condo where Cocly's body was found. Deputies said Penchi, a person of interest in the case, was last seen driving a black 2013 Lexus, with the Florida tag 735-RQI. Sheriff's officials said Penchi and Cocly were believed to have been in an "on again-off again" relationship. "I pray to go they catch the perpetrator and hopefully they will do justice and it will be all fine and the family will have closure," Rivera said. Cocly had last been seen on Saturday. Her car was found earlier this week.